Five Patriots Players To Watch For On Thursday Night Against Packers | NFL News, as it happens, when it happens. Your one stop shop. The time has finally come, sort of. It isn’t the best football, but it is players fighting for their jobs, in live game situations with the bright lights on at Gillette Stadium. Preseason football is here, and that means it is time to evaluate the players that have been hyped up and scrutinized throughout training camp. With so many players on the roster that will be cut by week one, it is hard to keep track of which players you want to keep an eye on during preseason games. Here are five players that you should watch closely on Thursday night if you are a Patriots fan. 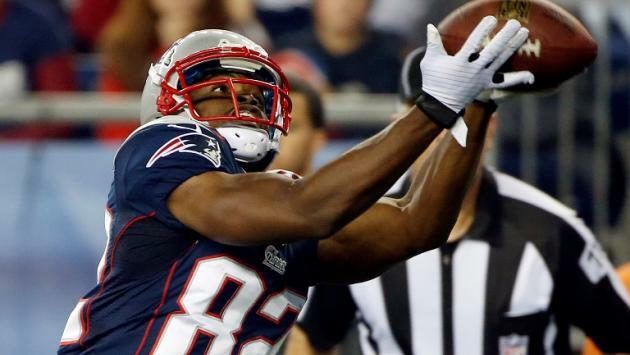 Josh Boyce: The majority of offensive starters for the Patriots will not be playing tonight. That means hopefully no Rob Gronkowski, no Julian Edelman, and maybe a limited Danny Amendola. There is a battle for the fourth wide receiver spot currently brewing in Foxborough, and third-year receiver Josh Boyce is near the top of that battle. Boyce has seen more time in preseason games throughout his career than in regular season games. Last year he spent the season on the practice squad, and he has impressed thus far in training camp. He has constantly beat rookie cornerback Darryl Roberts for touchdowns. On Thursday night, expect to see Boyce on the field for the vast majority of the game. Boyce will be playing alongside and competing against at the same time receivers such as Brian Tyms, Chris Harper and Brandon Gibson. Those four are fighting for roster spots, and Boyce has the most experience in the Patriots system out of the four. Malcolm Butler: The last time we saw Malcolm Butler on the game field he was intercepting Russell Wilson at the goal line to win the Patriots the Super Bowl, as a fairly unknown un-drafted rookie cornerback. Now he is the teams top corner and he will face heavy scrutiny if he doesn’t perform up to that billing. 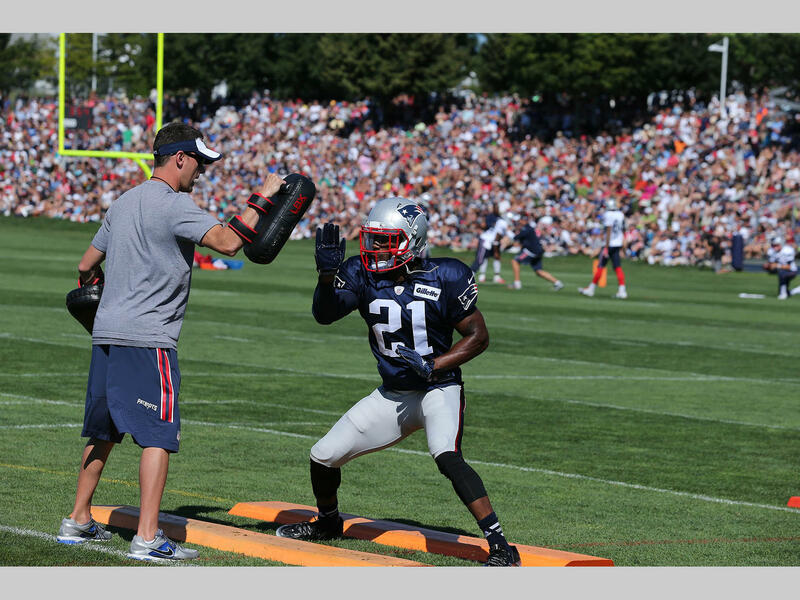 Throughout the first three weeks of training camp, Butler has been a pain in Tom Brady’s side, intercepting and deflecting passes left and right. He has certainly locked down that left cornerback spot on the roster. Even though for the time being he is labeled as a starter, he will need to be on the field for a large majority of the time Thursday night. Basically what Herm is trying to say is that in the preseason, you get basic man coverage and light zone coverage from defenses. Therefore, we will get a decent evaluation of Malcolm Butler when he matches up against top notch receivers such as Jordy Nelson and Randall Cobb even if it is only for a series or two. Trey Flowers: In the preseason, we get a pretty solid look at the new rookies on the roster. Seeing how the first-round picks are usually penciled in as starters we don’t get as good a look at them as we do with the mid to late round picks. That is why I will be focusing on a player like fourth-round pick, defensive end Trey Flowers. Flowers started off training camp slow, but of late has been getting solid reps with the starting defense. He is a bigger defensive end at 6-4, 269 pounds and many think he could play in a 3-4 scheme, as oppose to being just a five-technique defensive end. Flowers is a work-in-progress when it comes to being a pass rusher, but is a solid run defender. Flowers will be fighting with Zach Moore for playing time, and I am giving the leg up to Flowers on that one. In addition, Pro Football Focus had Trey Flowers as their second best steal of the entire draft. Jimmy Garoppolo: Obviously with the suspension of Tom Brady up in the air we will not being seeing him on Thursday night against the Packers. Now we get to see back up Jimmy Garoppolo for most of the night. It will be a good look at what might be a reality early on in the season if Brady does have to serve a game. Furthermore, an annual preseason tradition for Patriots fans is evaluating the back up quarterback. Last summer, Jimmy Garoppolo impressed in preseason action leading many to think that he could be the heir apparent to Tom Brady. So far in practice this summer, Garoppolo has been very underwhelming. He takes too long to make decisions, and with a patchy offensive line full of young inexperienced players, that could be a recipe for disaster against Green Bay. Also, Garoppolo needs to test his arm. He will have receivers with him that can somewhat stretch the field in Josh Boyce and Brian Tyms. 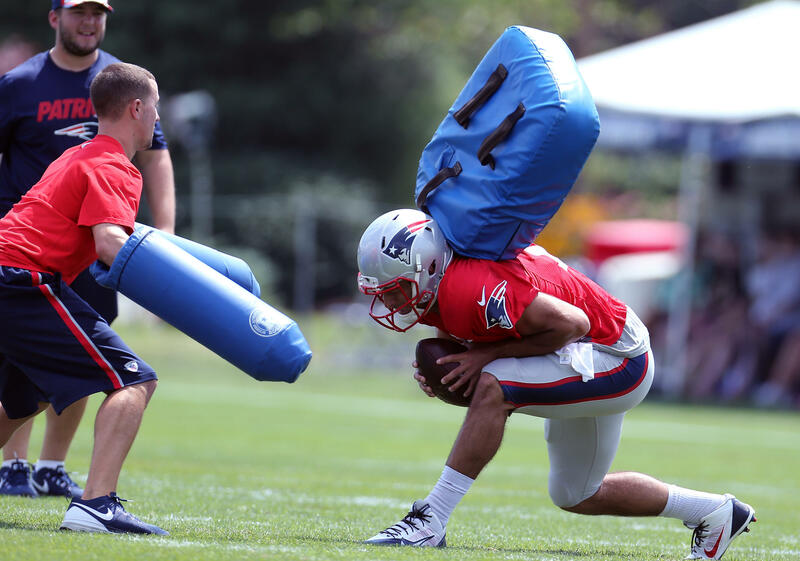 We saw a little bit of that Garoppolo to Tyms connection last August, and it has transitioned into training as well this year. Expect Josh McDaniels to test Garoppolo against the Packers with a pass happy playbook. James White: With Shane Vereen gone, one of the most important positions on the Patriots offense has been left barren, the pass catching back. It has been an interesting battle to watch between Brandon Bolden, Travaris Cadet, and James White in Foxborough. If you asked me who was losing that battle as of right now, I would tell you it was White. However, with Travaris Cadet suffering from a hamstring injury we more than likely will not see him in action against the Packers. Therefore, we will be getting a heavy dose of Brandon Bolden and James White. Most Patriots fans know what they have with Brandon Bolden. He is a very good special teams player who can pass block, and come out of the backfield when needed and be fairly productive. James White is still an unknown. He was hardly on the field at all in 2014, and when he was he did not show an burst like he did in college at the University of Wisconsin. Thursday night will be his chance to prove that he can come out of the backfield and shine and also run in-between the tackles. If he doesn’t show that ability that he was drafted for, White could be looking at another season where he barely sees the field.